These natural soaps are made from 100% vegetable soaps. These soaps are wonderful for the skin. They are gentle and moisturizing. Henna is a wonderful medicine and it boasts hair and nail growth. 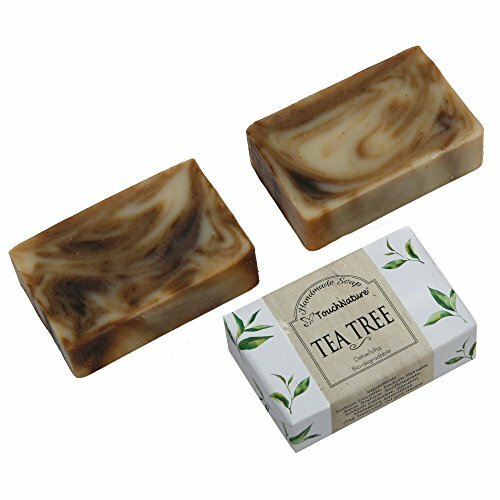 Tea Tree is a wonderful natural antiseptic. It protects without drying the skin. We make soaps in cold pressed method, allowing the glyercin to be retained in the soap. All soaps are made in small batches to ensure high quality. We use high quality ingredients such as coconut oil, palm oil, sunflower oil, castor oil and essential oils. The retained glycerin serves as a natural moisturizer, leaving the skin smooth and supple after shower. Each soap is made with love and dignity. Love for our customers because we made the soaps with precision in formulating and measuring of the quality ingredients. Love for our ladies who made them because we want to provide a future and hope from their modern day slavery. If you have any questions about this product by TOUCH NATURE HANDMADE SOAPS AND CANDLES, contact us by completing and submitting the form below. If you are looking for a specif part number, please include it with your message.